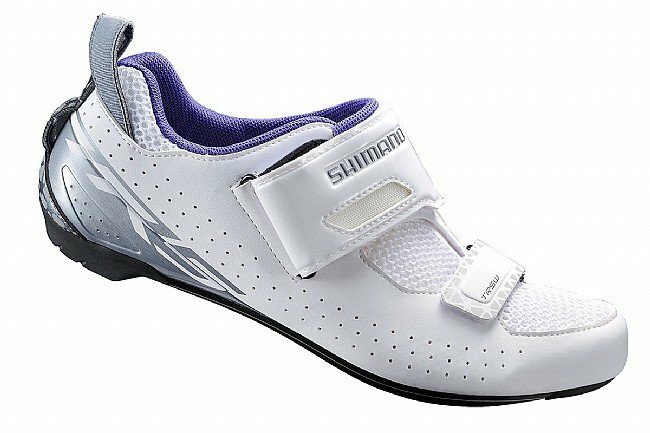 The Shimano Women's SH-TR5W Tri Shoes provide comfort and performance inspired by the higher-end TR9 triathlon shoe. Comfort is foremost for the long cycling leg of a race, so the TR5W features a women's-specific design and a 3D breathable mesh upper. 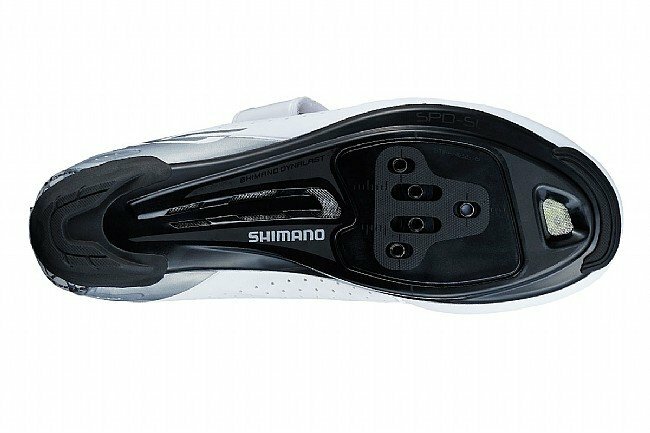 Dynalast construction puts the foot the prime position for optimum pedaling efficiency, and the fiberglass-reinforced nylon sole blends stiffness and compliance. To aid in transitions, a T1 Quick Strap is fast to adjust and can be trimmed to the rider's desired length, and an asymmetrical pull tab stays open so it's easy to reach without fumbling.